Iowa Republican Sen. Chuck Grassley warned the Trump administration to end its purge of top immigration officials, arguing that the changes risk destabilizing the Department of Homeland Security. 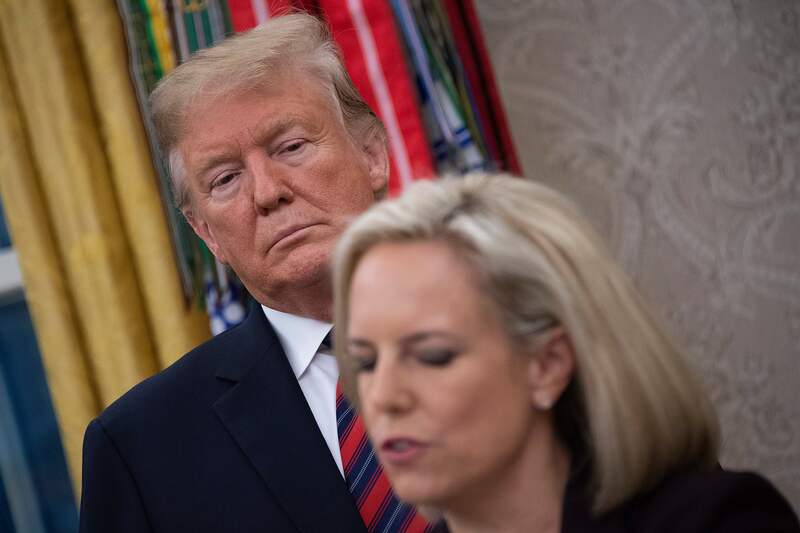 Grassley’s tough comments come after President Donald Trump not only pulled Ron Vitiello’s nomination to permanently lead Immigration and Customs Enforcement (ICE) on April 4, but also accepted Homeland Security Secretary Kirstjen Nielsen’s resignation on Sunday. The senior senator from Iowa said he was “very, very concerned” about reports that Lee Francis Cissna, the director of U.S. Citizenship and Immigration Services (USCIS), was next on the chopping block. There is also speculation that John Mitnick, DHS’s general counsel, may also be axed. The brash turnover comes as Trump, increasingly frustrated over the border crisis, says he wants “tougher” people leading immigration enforcement.